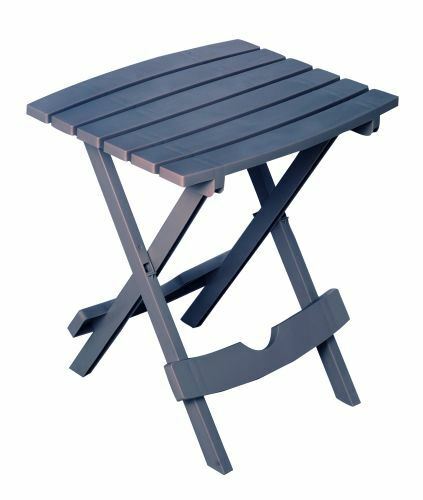 The Quik-Fold Side Table provides a perfect accent table for the patio or pool, holding laptops, books, sunglasses, and more. Folds flat for out-of-the-way storage, making it the perfect accessory for camping or fishing trips. Use it in tight spaces, like dorm rooms where space is at a premium. Weighing in at only 3 pounds, it easily supports up to 25 pounds! Proudly made in the USA! Limited Warranty for one year against manufacturer's defect.